How much of the program is done via videoconference? Do I have any "live" classes? Do I have to come to class or can I watch from home? 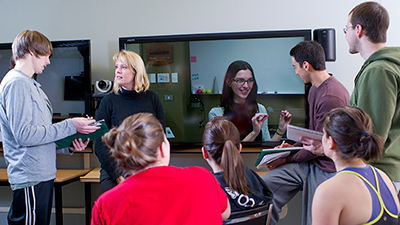 Some courses use videoconferencing so students can watch and hear the professor in Edmonton (or another location) as well as see the PowerPoint at the same time. The technology used for videoconferencing is very progressive and uses large high-definition screens. Some students have commented that it actually feels like you're right there in Edmonton with the rest of the class. The amount of time spent in class via videoconference depends on the year, term and class and can range from 30 to 70 percent of the time. There are five Calgary occupational therapists that are instructors and teach “live” (e.g. face-to-face) to give lectures, labs and group facilitation. 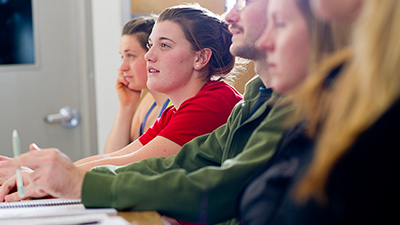 Students attend all classes together in the two classrooms at the OT Department, Calgary Campus (Suite 760, 999 8 Street SW). Classes are attended whether the instruction is “live” or via videoconferencing and “attending” from home is not a possibility. Many classes require student participation and group interaction which is why attendance is critical. How many classmates will I have? As of September 2014 there will be 20 students per year in the program and approximately 100 in Edmonton. If you're looking for a smaller group experience Calgary is probably a better fit. Will I be required to travel to Edmonton? 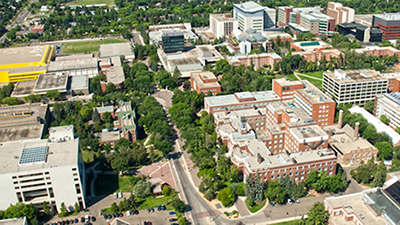 A small portion of the first week in September during Orientation will be held in Edmonton. This will most likely be 1½ days (1 night) so that you can get your “OneCard” (U of A student card), required text books, as well as meet your Edmonton-based professors. During the rest of the program, you will typically not be asked to travel to Edmonton for classes or sessions. Occasionally there may be special events you are invited to in Edmonton (e.g., Mental Health Conference) as well as certain modules (1 credit courses) that are only offered in Edmonton. So, you may find yourself needing or wanting to travel to Edmonton to attend a special event or to increase your module options. Edmonton students may also travel to Calgary to attend Calgary based events and modules. Is there anything I would miss out on attending the Calgary campus? Calgary students are invited to take part in the management of class just like in Edmonton. 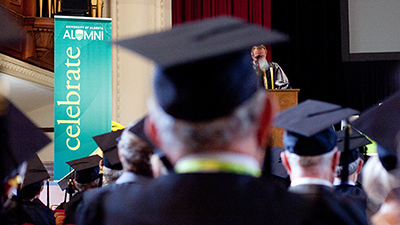 Calgary students are involved with the greater campus primarily through a class representative, and regular town hall meetings which are held in order to address student or professor concerns. The professors we have on site keep us coordinated with the Edmonton cohort and of course we are free to email or schedule a teleconference meeting with staff in Edmonton if necessary. Do we get transit passes and access to fitness facilities? When you are a Calgary “satellite” student you are able to opt out of certain University of Alberta fees so with the money you save there you are able to spend it in Calgary. You won’t get access to a “University Gym” as it were, but you will be able to sign up at a local gym near you or wherever you choose to spend the money you’d save. Transit passes can be obtained through Calgary transit. Many students use Amazon (be careful what year/release of the text you're getting). They found that they were able to save a few dollars and still receive their texts on time. You are also able to order textbooks through the University of Alberta bookstore website and they will deliver them to you. You may also pick up textbooks from the U of A bookstore when in Edmonton for orientation in year 1. If I'm from out of province, where can I go for my immunizations? Prior to starting the program and receiving your UofA health card, the University of Calgary health centre (at their main campus in the NW) will do vaccinations for $15 a shot for U of A distance students. Call them beforehand to confirm and make an appointment. They deal with the same requirements for their health care programs there all the time so they really know what they are doing and will help you get organized and make sure you have everything correct. Tuition payment is the same for everyone whether they are in Edmonton or Calgary; both pay through Bear Tracks. It does require a debit card though and they do not accept a credit card for payment. What hours do classes run? Class hours vary between classes and even between Edmonton and Calgary. For the most part, students find classes well balanced with very few long days. You will have some days to sleep in and some days where you get off early. You will need to adhere to the work hours for your fieldwork placements though. Note: modules and special events may take place on weekends and evenings. How do I know my class schedule in Calgary? Classes, special events and other activities are recorded on a Google Calendar set up specifically for your class. Some students found they were able to work part time in the evenings and/or weekends and did not feel overwhelmed by the demand of both school and work. Depending on personality, it is possible, but you should be organized with assignments and also very proactive.